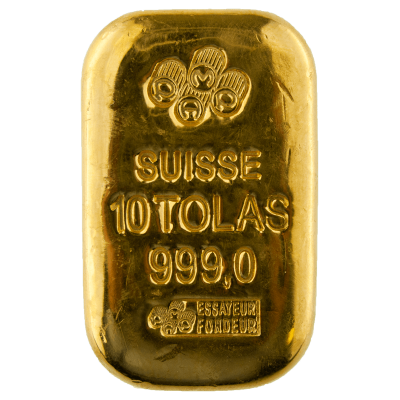 10 Tola (116.64 Grams) Cast Gold Bar (999.0) manufactured by PAMP Suisse. Popular weight for investment bars in the Middle East and India. VAT Free and with free delivery in the UK. 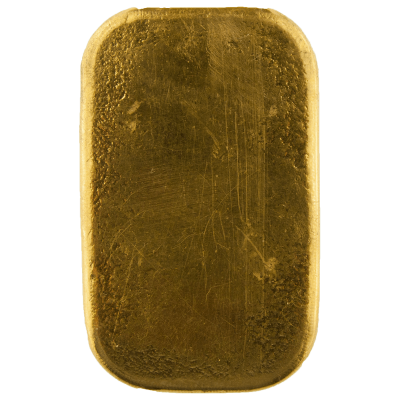 Your 10 Tola Cast Gold Bar PAMP will be delivered to you free of charge and fully insured during transit, in a nondescript package that will not draw attention to the nature of the contents.